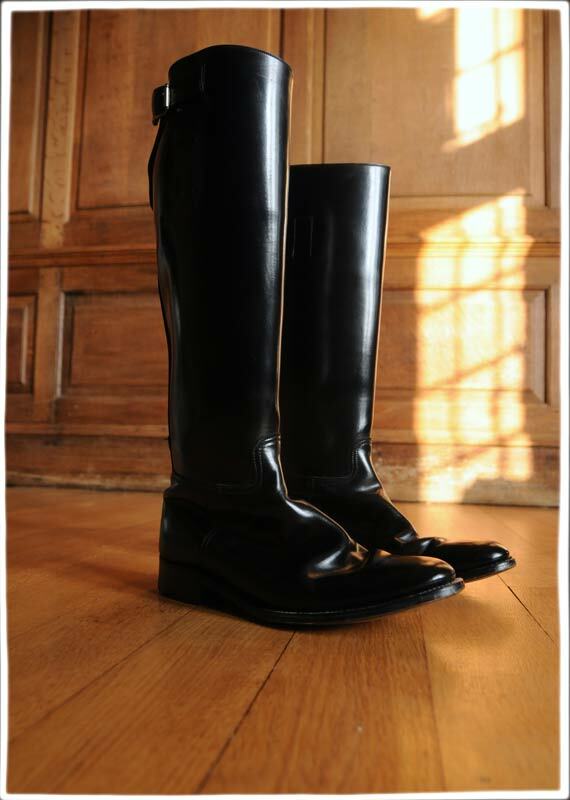 These classic English riding boots are clearly made of leather although the brand name is not marked. They just state ‘Made in England’. The quality is high and they are extremely comfortable with one buckle at the top. 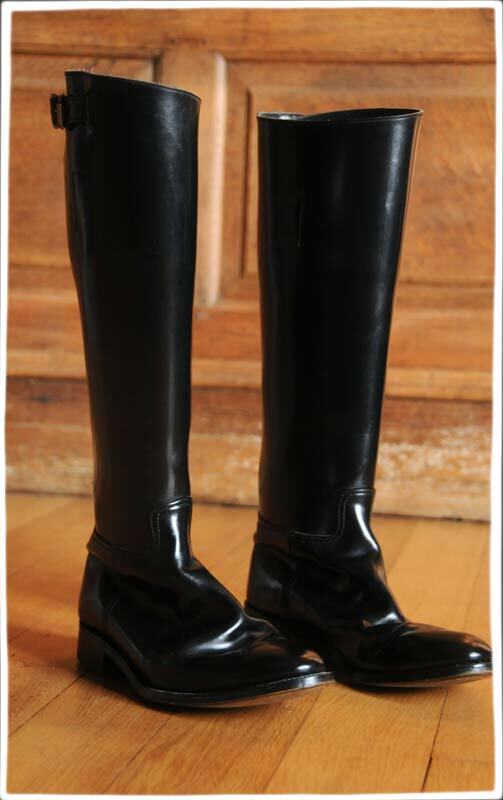 A riding boot is a boot made to be used for horse riding. The classic style comes high enough up the leg to prevent the leathers of the saddle from pinching the leg of the rider, has a sturdy toe to protect the rider’s foot when on the ground, and has a distinct heel to prevent the foot from sliding through the stirrup. 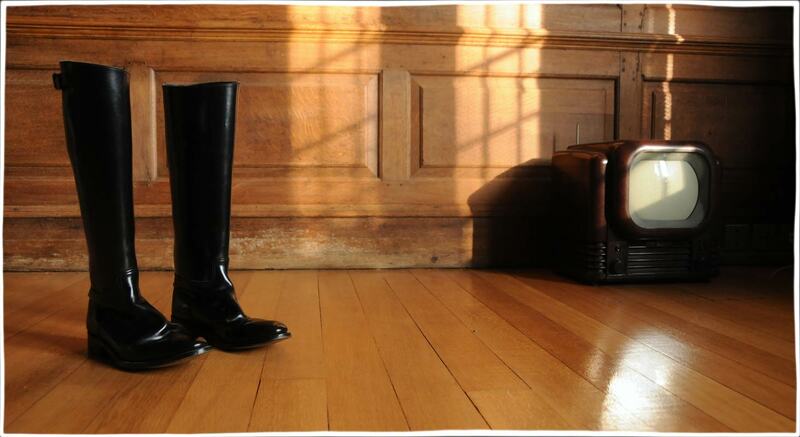 The sole is smooth or lightly textured to avoid being caught on the tread of the stirrup in the event of a fall.